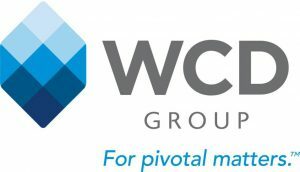 WCD Group, LLC, is an environmental and construction risk management firm servicing the real estate, construction, and development industries, their lawyers and insurance companies. We provide risk engineering, consulting, forensic engineering, strategic and technical litigation support claims consulting, expert report preparation, and expert testimony for environmental, construction, property and professional liability claims. WCD Principals have been providing these services for more than 30 years in various types of litigation, including class actions involving exposure to microbiological and asbestos, property damage, a wide array of hazardous substances. We have investigated and defended wrongful death and Legionella fatality claims, responded to and managed claims associated with Hurricanes, explosions and fires. We regularly advise clients on matters relating to cost cap policies, third-party exposures, hazardous substances release and Pollution Legal Liability claims. The Roux organization applies sophisticated scientific, technical, and managerial resources to develop and implement effective, efficient, sustainable solutions. In short, we solve our clients’ most challenging environmental problems, and we provide our consulting and project management services to an impressive list of Fortune 500 and public sector clients nationwide through offices located in California, Illinois, Massachusetts, New Jersey, New York, and Texas. Founded over 35 years ago, our work involves large complex environmental remediation projects, including Superfund sites, chemical and manufacturing plants, and petroleum refineries and distribution terminals. Today, we are an employee-owned company with over 300 environmental professionals in a variety of science and engineering disciplines. Husch Blackwell is an industry-focused, full-service litigation and business law firm with offices in 18 cities across the United States. Representing thousands of national and global leaders in major industries, Husch Blackwell is structured by industry rather than by practice. Teams of lawyers with a depth of experience in a particular industry work together, across practice specialties, to deliver comprehensive solutions to help clients achieve their business goals. Partners, associates and legal professionals collaborate closely on client matters, so that each client benefits from the collective knowledge of the firm. Husch Blackwell also has a strong, sustained commitment to diversity and inclusion, and attorneys are dedicated to serving their communities through a wide variety of pro bono work. As the leading provider of data, technology and insight to the real estate lending and property due diligence industries, we help our clients deliver trusted opinions and make the right decisions. 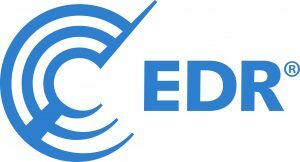 With EDR, you can trust in the most accurate and comprehensive information in the industry. Our experience is as deep as our data, and that data includes the most comprehensive repository of environmental and land use information available in the industry, which contains over 4.1 billion property records from over 1,600 unique sources. EDR is changing what the industry expects from due diligence. Our industry industry-eading data and workflow solutions are provided through the industry’s best platform, creating speed and value for all stakeholders. Synapse is an asset rich, independent specialty wholesale insurance brokerage dedicated to serving our retail partners and their valued clients. Our Mission is to provide the highest level of expertise and service in the specialty insurance marketplace by building and nurturing the best people and partnerships. Our people-centered culture helps attract and retain top industry talent who empower regional, middle market brokers as their environmental resource group “down the hall”. Our experienced team of professionals utilize their specialized expertise and Synapse’s proprietary data, to equip our valued retail partners to compete with the market leverage and technical abilities typically associated with larger agencies. Synapse is one of the largest wholesale aggregators of environmental insurance in the market. We bring that power to our retail partners. ChemPlan’s sole focus and commitment to the US chemical industry is what sets us apart from all other underwriters. We manage insurance programs for 500 chemical distributors and man­ufacturers across the country. ChemPlan has been a leading provider of specialized insurance programs for chemical distributors and manufacturers since 1984. The commitment to quality and technical expertise of the ChemPlan team is second to none. We are proud of the fact that our singular focus and long-term involve­ment with this unique market has earned us a reputation for exceptional customer service and innovative insurance products in an industry other insurers simply don’t understand. ERIS is a leading provider of environmental risk data and research for properties across North America including the US, Canada and Mexico. Our variety of data, coupled with our innovative tools like ERIS XPLORER and ERIS DIRECT, make environmental risk assessment easier than ever. Database reports, physical setting reports, historical property information including fire insurance maps, aerial photos, topographic maps, city directories, and land title searches are used for commercial real estate due diligence, lending, underwriting and environmental planning. ERIS DIRECT is an online subscription product that allows immediate, real-time access to ERIS’ environmental data through text-based searches performed on individual address and/or company name. Visit us at our booth during the conference to learn more, or connect with us at www.erisinfo.com . Griptiller is insurtech SaaS cloud software that improves insuring commercial real estate risks. It enhances underwriting revenue growth and lowers underwriting expenses. It offers an enterprise risk management (ERM) platform for layering risk data feeds onto mapped real estate portfolios to allow for a better understanding of risk potentials. Griptiller’s architecture consists of a custom virtual data room (VDR) where real estate locations and their associated data are stored in visually rich databases we call PictureTiles. Underwriters, brokers, insureds, managers and risk management colleagues benefit from easy data transfer, accurate reconciliation, speedy underwriting, and analytics-based ERM. Underwriters can quote and manage more business. Risk managers can visualize and identify risk profiles. Insureds, brokers and carriers all can upload, download and reconcile property locations and associated documents. Berkley Environmental’s experienced team of insurance and environmental professionals provides customized insurance solutions for our client’s insurance needs. Berkley Environmental will customize a comprehensive insurance program to best fit their risk and budget. With the ability to provide the supporting Casualty lines of business alongside our environmental products, we minimize the hassle and confusion of working with multiple carriers and multiple underwriters. Berkley Environmental has a selection of environmental and non-environmental insurance products to meet the needs of contractors, environmental consultants or site specific facility risks. Our team of Environmental Underwriters understands the exposures that face our clients. Our Industry Experts have an average of 25 years industry and insurance experience. Our value comes in our ability to underwrite an entire account in a locale near our brokers and clients; all with one underwriter. Our Regional underwriting structure affords us the familiarity with the exposures and the uniqueness of doing business in seven regions across the United States. Our ability to underwrite all lines of business (Site Specific Pollution, Automobile, General Liability, Excess, Contractors Pollution, Professional and Workers Compensation) with one underwriter strengthens the bond with our clients, and gives us an edge over the entire Environmental Insurance Industry. Great American’s Environmental Division offers an exclusive focus on environmental insurance solutions to a wide variety of commercial customers. We recognize the need for effective management of environmental risks that could threaten the financial security of the businesses we serve. Our experts can help to uncover the hidden risks in your client’s operations and develop a custom program to protect them. We offer a complete portfolio of environmental insurance products, including contractor’s and fixed premises pollution liability insurance products. Environmental liability can be highly complex, but our dedicated environmental claims handling unit and nationwide network of emergency response firms, remediation contractors and environmental attorneys provide the technical expertise and responsiveness you need to provide your customers with comprehensive risk management. This year, we welcome you to join in celebrating our 10th anniversary as a dedicated Environmental Division at Great American! Trident Environmental’ s experts have over 65 years of experience resolving environmental (pollution) liabilities on residential, commercial and industrial properties. No matter what the contamination or the condition, our work results in defensible decision making and expedited results. As necessary, our site characterization and remediation services allow our carrier clients to establish reliable reserve estimates and to define and control their environmental liabilities. We are responsive to the requirements of our carrier clients and understand the need for prompt and precise claim management. Rivington Partners is a managing general agency that focuses on writing specialty property & casualty insurance and placing the risk with highly-rated sponsoring insurance carriers. Rivington’s experienced underwriting teams are dedicated to delivering intricate insurance products to underserved or overly complex markets. We help insurers by providing the sophisticated technical expertise needed to access unique and specialized markets. And, we provide the comprehensive support needed for brokers to properly instruct their clients. We focus on insurance products that require highly-specific technical skills to properly quote, underwrite, bind, and service. Rivington, in conjunction with highly-rated insurance carriers, delivers superior service to brokers and clients needing effective solutions to their complex risks. Company featured individually on general session screens with custom messaging for 20-second increments throughout the conference! Sponsor exclusive Wi-Fi internet during the conference and breakout sessions! With Password exclusive to your company name and shared with attendees! + 1 Free Registration! Half-page advertisement with strategic placement including company provided content, image, and website URL. Strategically placed in areas with significant foot-traffic flow or attendee gathering spaces, these units will accommodate vendor-supplied graphics. Vendor-supplied content emailed to registered attendees one week prior to the conference and within two weeks following the event. Logo provided by the vendor with a link to the company website and 125-word description.